When considering the best option for a heavy wood garage door there are many options on the market. In the past the Liftmaster 3240 screw drive opener was the go to opener for heavy wood doors. 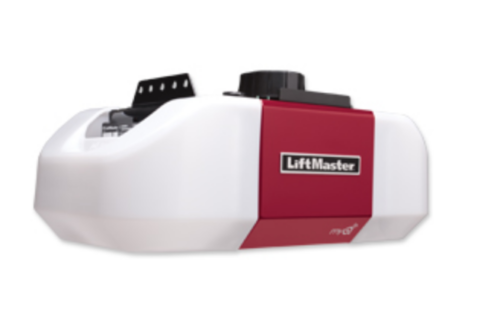 LiftMaster has discontinued the screw drive opener, and have replaced it with what I believe are better options with the features like MyQ and battery backup that customers want in today’s market. The first option I would recommend is the 8550W opener this opener has a ¾ horse power 12V-DC motor and is belt drive. This opener is very quiet and strong. The 8550W comes equipped with a battery backup, for times the power goes out, and is MyQ ready. The MyQ allows for opening and closing the garage door from anywhere you have internet service on your smartphone or tablet. 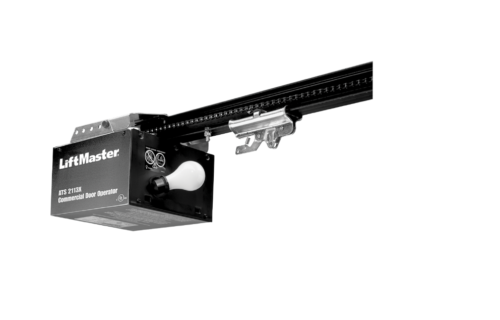 The 8550W is also compatible with an automatic bolt lock , purchased separately, that provides the highest level of security available for garage door openers. The second option would be the LiftMaster 8500W Jackshaft Opener. The 8500W is a ¾ horse power 24V-DC motor. This opener does not utilize a opener rail as the opener attached directly to the spring bar and mounts on the wall next to the door rather than to the ceiling in the center of the garage. The 8500W comes with the battery backup, MyQ ready, and a remote light you can mount anywhere in the garage. The 8500W is also compatible with the automatic bolt lock that is sold separately. If you choose this option you will need to make sure you have a power source on the wall near the mounting location of the wall mount opener motor. 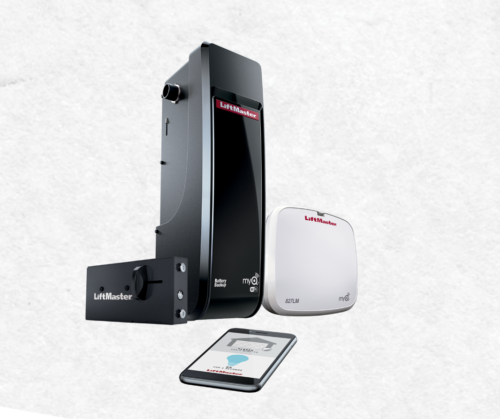 The final option is the LiftMaster ATS. This is a commercial opener with a ½ horse power 120V single-phase chain drive motor. The ATS is for sectional garage doors from 8 feet tall to 14 feet tall. This is a strong light duty commercial garage door opener. This opener will not be as quiet as the 8550W belt drive or the 8500W jackshaft opener, but will be strong enough to open and close heavy wood doors.